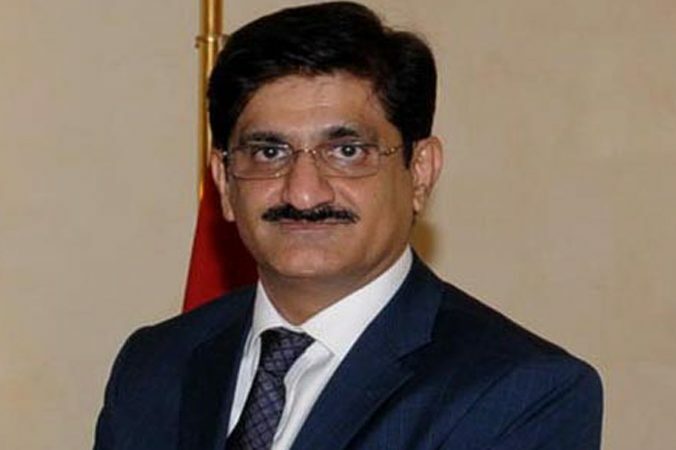 KARACHI: Sindh Chief Minister (CM)-designate Syed Murad Ali Shah on Saturday has said that his government under the leadership of Pakistan People’s Party (PPP) Chairman Bilawal Bhutto Zardari would give special attention to the development of infrastructure, poverty alleviation, improvement of health and education sectors. This he said while talking to media just after laying a floral wreath and offering fateha at the Mazar-e-Quaid to pay tribute to father of the nation on the eve of Pakistan Day. He led party delegation comprising of Sindh PPP President Nisar Khuhro, MPAs Sohail Siyal, Saeed Ghani, Imdad Pitafi, Qasim Siraj Soomro, party leaders Waqar Mehdi who went on foot from the People Secretariat to Mazar-e-Quaid. He said that the Bilawal has laid a great responsibility on his shoulders by nominating him as the Sindh CM. “I am thankful to him and other party leaders for their trust,” he said while adding, “Under the guidance of party chairman I would serve people of Sindh to the best of my abilities”. Murad said that he gave two packages to develop road infrastructure along with stormwater drains in his last tenure. “Today Karachi gives a developed and beautiful look and I would continue my focus on the uplift of this city,” he said and went on to say: “Every district and every city of the province would be given equal attention in terms of development and resolution of public problems”. He claimed that his government deserved credit for restoring peace in Karachi, making it the city of lights again. “Now we are going to make it one of the most beautiful cities of the world,” he promised. Replying to a question, he said that people of Sindh have elected Pakistan People’s Party (PPP) because it has served them. “It is PPP which has always fought for the rights of people in this province, it is PPP which has always given employment opportunities to the people of Sindh and we have also improved the health sector and have worked a lot in Thar coal projects which will begin producing electricity soon,” he stated. Murad Shah said that unemployment was a serious problem and this time his government would create employment opportunities in both the government and private sector. To another question, he said that the Pakistan Muslim League-Nawaz (PML-N) government announced a Karachi Package of Rs25 billion but they did not release even Rs25 till the end of their tenure. “We are committed with our people that’s why the population of Sindh is with PPP,” he concluded.